Hello once again loves! 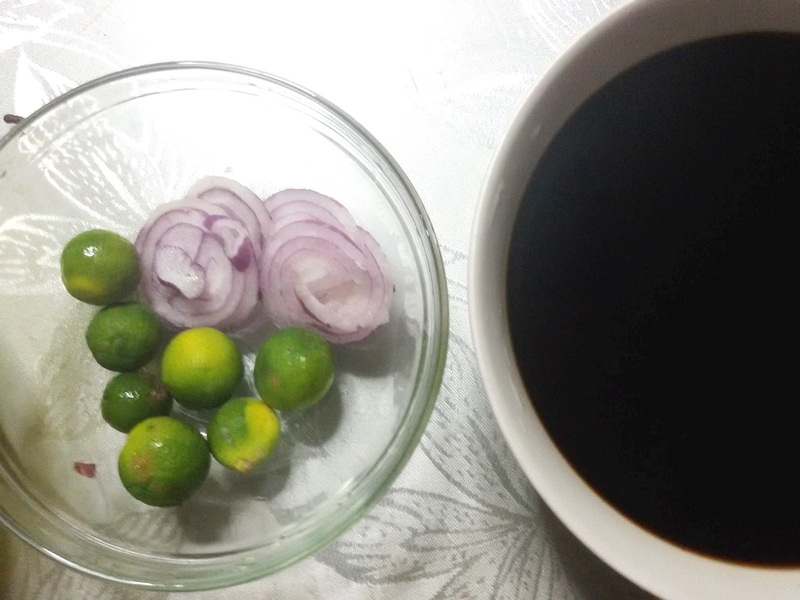 This is the third installment of my Electrolux PH's #DoMoreWithLess blog post series. Let me just tell you that I love doing this because I like sharing a few practical mommy hacks I do in our busy humble kitchen. If you missed the other two previous helpful posts on meal planning, you may find them HERE and HERE. Now, what I would like to share with you are my simple tips on how to successfully disguise leftover food, and actually make the picky eaters eat them! Haha! I know you could definitely relate to this because most of the time, picky eaters don't like eating the same dish or menu for two consecutive meals or even days. When this happens, we say hello to food waste, and we don't want to add to the daily household trash in Metro Manila. Did you know that out of 5,600 tons of trash everyday, 75% comes from household and 50% of the household trash comes from food. Sad no? That's why Electrolux came up with a campaign to raise awareness of this alarming concern and encourage moms to be resourceful at home, in the kitchen to help improve the food wastage situation. With this, I would like to share with you some practical tips on making our picky eaters eat some leftovers. Make "it" (disguising the food) part of your meal planning. -I've always had an experience with my family having leftover food. So I make it part of my meal planning, such a contingency plan just in case there will be lots of left over food. I plan it well. I think this way: "If I cook Sauteed Ground Pork with Veggies and have some leftover, into what other menu I can turn it to?" There are lots of other recipes I could disguise my left over ground pork. Examples would be: Omelette, Almondigas Soup, Italian Spaghetti, Sweet and Sour Meatballs, Fried Meat Balls with dip, and the list goes on. Buy the ingredients you may need during your food marketing day. Dry to Soup-based. Most of the time, when you want a totally different dish to turn your leftover food into, the Dry-To-Soup-Based recipe always works. Those fried chops for lunch could be pork steak for dinner. 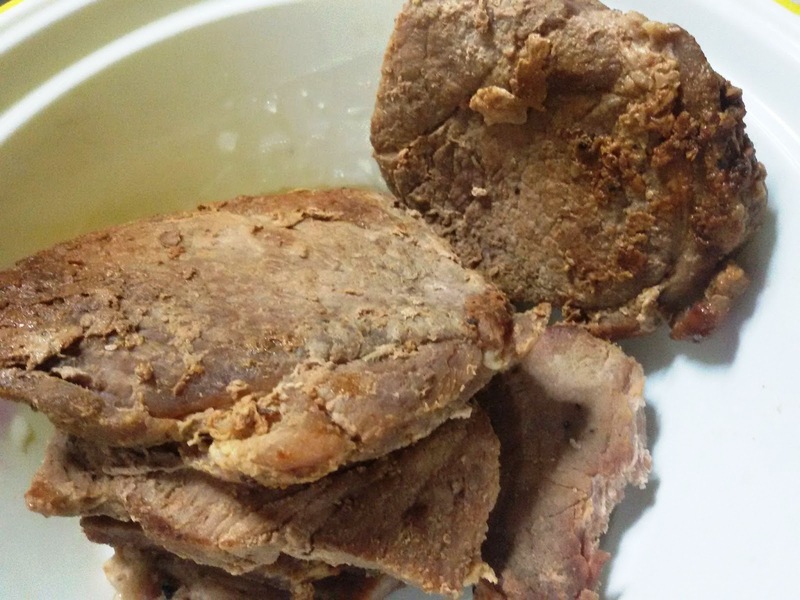 Other leftover meat, could be chopped in small portions and thrown in a creamy vegetable soup! Be creative with food presentation or plating. Sometimes, all it takes is food presentation to make it appealing to the picky eaters. Serve the new recipe in an unconventional serving dish or garnish the plate with shaped carrots, potatoes or emptied bell peppers. You could also draw smiley faces on the plate or on top of the food using condiments or syrups for your upcycled leftover food! 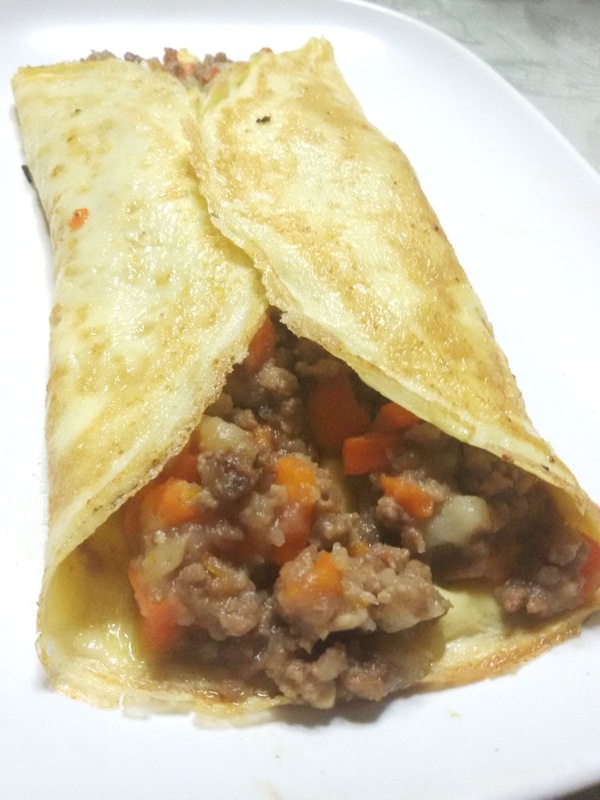 Here's the second part of my post, my personal leftover upcycled recipe samples! 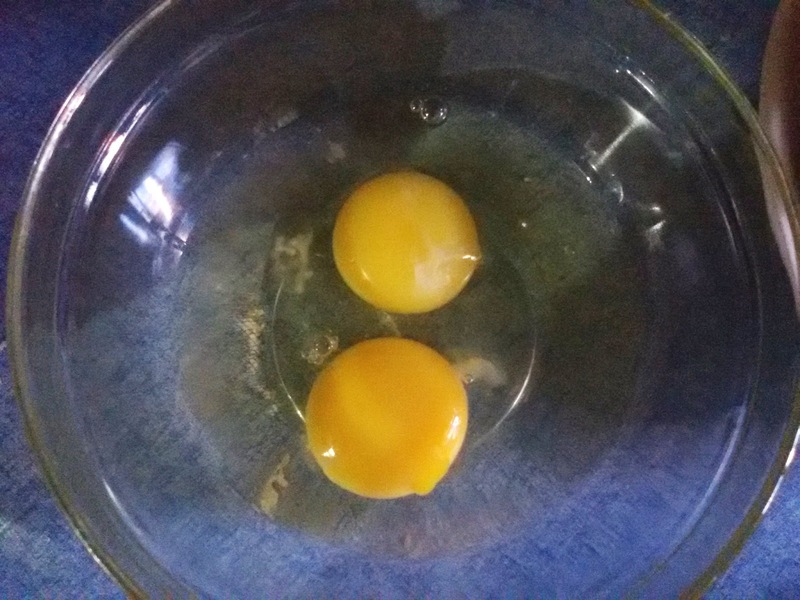 :) I will be sharing with you two recipes or disguised leftover food which I did last week. It's very simple and quick to do and I'm sure you could do it at home too. 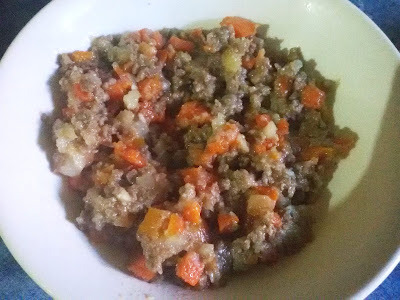 Here's our leftover Sauteed Ground Pork with Veggies. Beat two to three eggs. Add a pinch of salt. 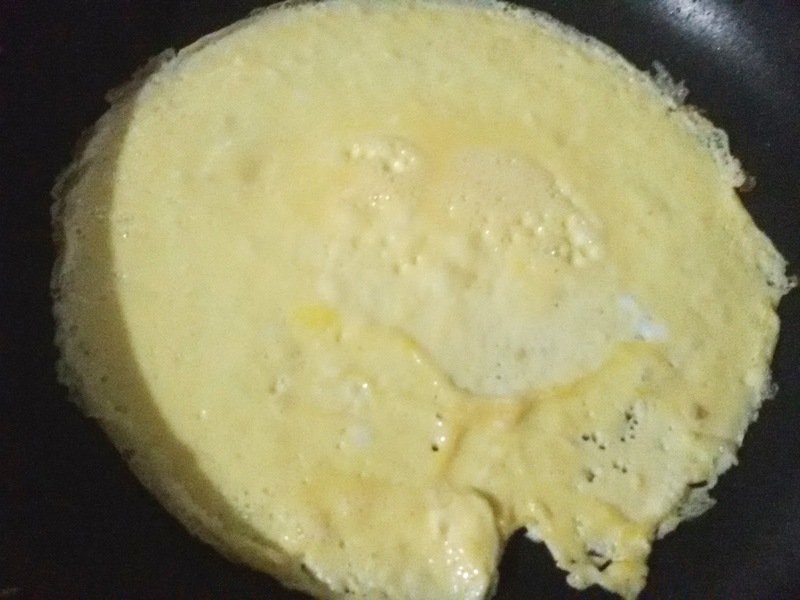 Pour the scrambled egg in the pan on low heat. 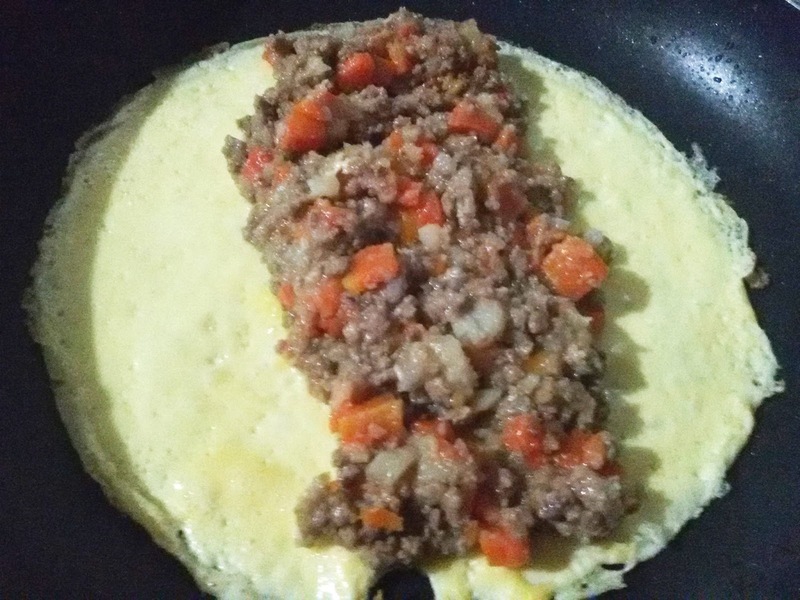 Add the leftover ground pork in the middle when egg is already cooked. Fold both ends of the cooked scrambled egg to meet in the middle. Serve hot with rice and your favorite tomato catsup. 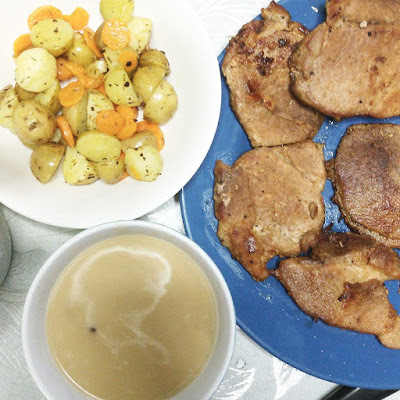 Here's our Porkchop with Gravy and Veggies meal from dinner. I refrigerated the leftover pork chops and prepared it to become something else. Chop one medium sized onion. Squeeze out the juice of six to eight calamansi. Mix two cups of soy sauce and three cups of water in a bowl. 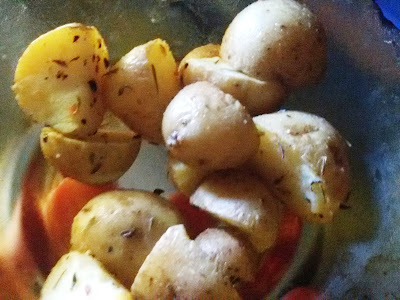 Our leftover buttered marble potatoes may be added to the new recipe. Reheat the pork chops on medium fire. 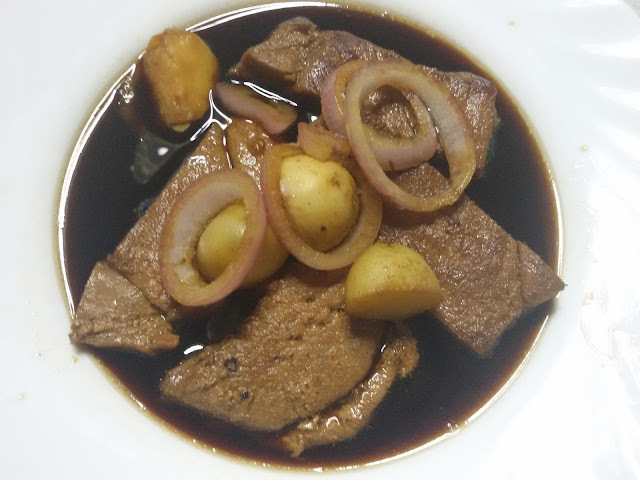 Add the mixed soy sauce with calamansi juice. Simmer it for few minutes, then add the marble potatoes. Just before putting off the fire, add the chopped onion rings. Voila! Here's the yummy Bistek Tagalog! Extra rice please? Do you have other ideas on disguising your leftover foods? How do you think you could help reduce food wasted? Do share on the comments form below. Also, for more ideas on recycling and upcycling leftovers like banana peels, egg shells, used tea bags or ground coffee, visit Electrolux Little White Book Facebook page for ideas on how to Do More With Less and help improve the situation on food wastes.